I was born with a brass car key in my hand, and I came alive on July 7, 1987: the day I passed my driver’s test in my mom’s 1981 Mercedes 300SD. 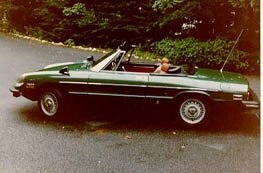 The first car I laid claim to was my Dad’s 1977 Alfa Spider, which looked really good from the beltline up. I’ve been married for 15 years and in that time have owned (as of this writing) almost 90 cars ranging from esoteric to exotic. They come and they go. I take them, drive them, and make them a little better than when I found them. I make money on some and lose money on others. I like to think I’m breaking even overall, but that may be just a tad optimistic. I’ve been moonlighting as a professional automotive journalist focused primarily on German cars since 2003. By the light of day I manage a variety of trade associations and professional societies. I have a long list of cars I’ve yet to own, and part of the purpose of this blog is to vet the list and separate the good cars from the bad, and to wax poetic about the things that are important – at least in my own delusional world. I have been a Car Geek since pretty much day one. My first Matchbox car was a green Ferrari 250GT Lusso. I grew up watching the Dukes of Hazzard and Smokey and the Bandit and have worshiped at the altar of Charger and Trans Am since. I build Lego cars with crumple zones so when you bump them into something they deform instead of explode. I don’t care if Rendezvous was filmed using a Mercedes-Benz; in my fantasy world the Ferrari sounds are made by Enzo’s own. I named my son after a German coachbuilder long associated with BMW. I am somewhat afflicted. When I was a kid our family had a 1972 Datsun 510 wagon, a 1968 Fiat 850 Spider and a 1964 VW Karmann Ghia convertible; later we had a 1980 VW Rabbit convertible, a 1997 BMW Z3 and a 1995 Infiniti Q45a. My current stable includes two old BMW sedans, because sedans are damn cool. I have wrenched on British and German cars professionally when not making computers do smart, pretty things. My current day job is in advertising and I dabble as a freelance writer, editor and photographer. We established this blog as an outlet for writing about cars we like. That’s really it. Hi Miguel, I’m from Germany and I am more than 15 years in search of an Audi 5000 Turbo Diesel. Year 1981 – 1983 preferred an automatic transmission vehicle. Unfortunately in vain to this day but every day I try to every website on the planet, and maybe I’ll find someone who can help me. I would be very happy to help anyone from the U.S. site of me possibly an address where I can still purchase a vehicle. For any help I am very grateful and I look forward to an answer. I bednake and remain in the hope of getting one. they don’t come up very often, but I would check through aggregator sites like adhuntr.com that look at all the CraigsList sites. That’s where I usually stumble on the most unusual stuff. Good luck – those are really neat cars! Wow. I feel outclassed. I did own a Datsun 510 with that L16 engine in the seventies. My first car, Matchbook like car, was a Renault Dauphine that was given to me more than fifty years ago. It’s around here somewhere. Maybe that’s what put me on the road to the 1998 bow-tie Corolla that I drive now. – I do appreciate the great cars tho. Found you b/c of the amazing piece about the Jensen Interceptor. And who wouldn’t immediately think of the Studebaker Avanti after that. I have just found your site and may have something your interested in. I own a 1983 300cd turbo diesel with 82,343 original miles that I am the second owner of. This car has been garage kept for the largest majority of its life, and is in excellent condition. It has never been hit has original paint and I have kept it maintained whether I was driving it or not, doesn’t even smoke everything works and is solid. I am selling it , but don’t want to sell it to just anyone. I see you started with a 81 and thought you may be interested. Hi. Just found your blog. I swear you are stealing my thoughts!!! In 7th grade, while others were drooling over Camero’s and Firebird’s, l was ordering Peugeot 505 and 604 literature (which I still have!) The thought of an 80’s Maserati Quattroporte daily driver makes me tingle. A friends dad in high school had an 82 733i with a 5-speed. A blast to drive! 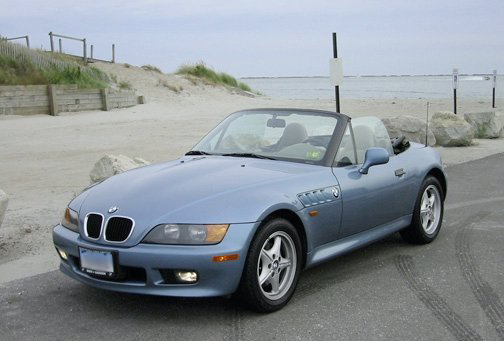 As for me, I have owned an Alfa Romeo Milano, SAAB 9000 CDE turbo, VW Quantum (5 cyl/5speed,) MB 300D, and currently 2007 SAAB 9-3 convertible and a 1972 MGB that l have owned for 34 years. Would love another Youngtimer MB as well. Love the blog… Share your enthusiasm and interest; only wish I had more time to devote to writing about my various encounters and relationships with cars as well. I had a pristine Euro 1985 BMW 325i Bauer TC purchased from original owner back in 86… Until it was sadly stolen and stripped of parts during my 1st year of grad school at UCSD. If only I could find another one…. Just stumbled on your site. Like it a lot. If you ever think about divorcing, let me know. We’d make a perfect match. LOL!